Holidays are a fun time for everyone involved no matter their age. We have a free and easy way to build the excitement with Holiday Crafts for Kids: 60 Free Printables. You can use these in a classroom or keep your children occupied during bad weather. We have compiled a list of free kids printable activities for holidays from Halloween to Valentine's Day. 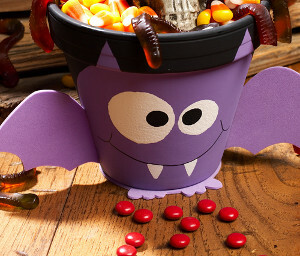 You can decorate treats to hand out to the cute monsters that come to your door and you can keep the little ones busy will the adults are mashing potatoes and basting turkeys. 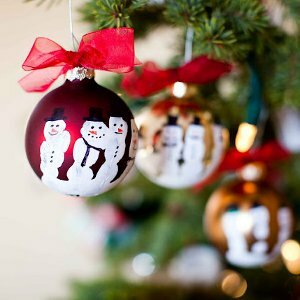 The Christmas season is magical and exciting, and will be even more so with these holiday crafts for kids. Your kids will have the best Valentines to hand out to their friends on February 14th, and they can also see if they have the luck o' the Irish with our St. Patrick's Day free printables for kids. Holidays can be expensive, and there's no reason to spend even more money when there are great crafts for kids like this on the internet. They are sure to enjoy all of these projects, and you will rest easy knowing that a lot of fun doesn't come with a big price tag. Halloween can be scary, but it doesn't have to be scary expensive! Below you will find kids printable activities for your classroom and your children. All you need to start the fun is access to a printer. They will get into the Halloween spirit and have a lot of fun doing it. Looking for more Halloween crafts for kids? Find them in our FREE eBook: 23 Halloween Crafts for Kids: Homemade Halloween Costume Ideas and Spooky Decor! Turkey Day is about giving thanks, and this year, let's be thankful for Thanksgiving printables for kids. You can keep the kids safely away from the cooking process, and they will be happy to craft some turkeys while you cook one. Christmas can be such a busy time, and with the kids on holiday break, it can be difficult to get everything done on time. Make it easier on yourself, and guarantee a lot of fun by printing out some of these Christmas Printables for kids. Buying Valentines is pretty convenient, and what could be more convenient than free Valentines that you can print in the comfort of your own home? Answer: nothing is more convenient. We're here to make you and your kids happy on Valentine's Day, and we think we've achieved that with our free printables for kids. St. Paddy's day can be easily overlooked, but we don't think it should be. Celebrate the luck o' the Irish with a fun scavenger hunt or looking for leprechauns. Keep the magic alive all year round with some of our printable kids crafts. Have a beautiful and DIY Christmas this year by doing some of the projects in our FREE eBook: Christmas Crafts for Kids: 18 Homemade Christmas Ornaments!